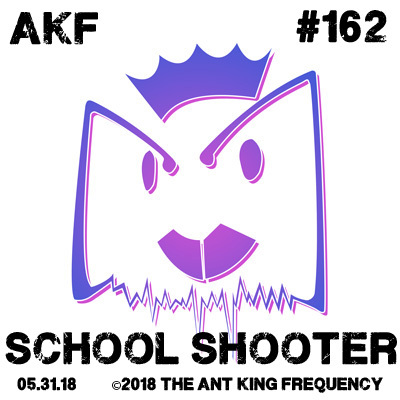 @antoniosanciolo and @larrykingundead discuss the extremely sensitive topic of school shooters but with a far more involved view than you are likely to hear through conventional channels. If we’ve offended you, we are sorry and would like to know how we could avoid doing so in the future. Our main aim here is to explore points of view that the mainstream media may neglect as their focus is purely on firearms which according to one’s standpoint is entirely to blame or only partly to blame. No matter what. we would love to hear what you think. Let us know. I’m fortunate in that my high school was not locked down during the day. I skipped classes as I pleased. And I did have a small group of misfits to hang around. Bummer that you had no such misfit group to be part of Larry. I have had a similar mindset to a school shooter once, as an adult even. I planned to make silent a shipmate aboard the submarine I was on. First time I was incessantly bullied. I had no plan to shoot up random people on board. I would have taken care to not get caught and do it in an alley next port call.